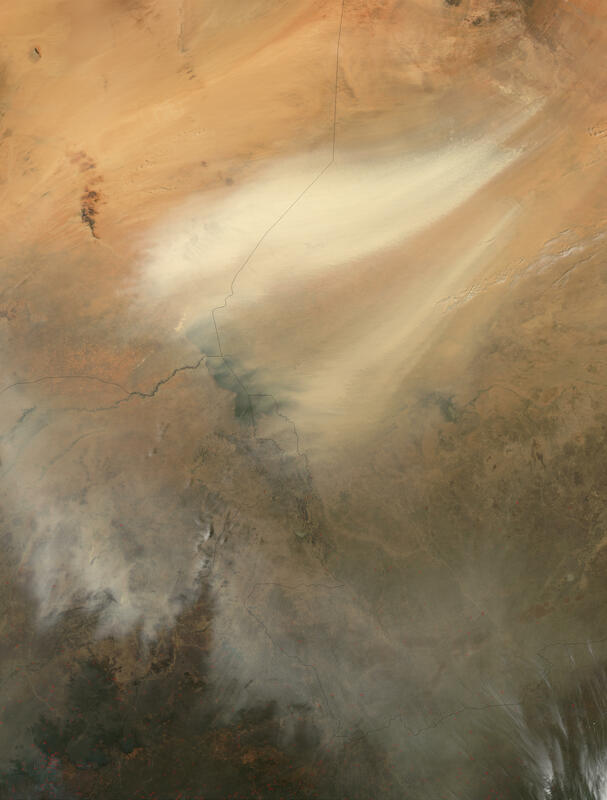 A large dust storm in central Africa chokes the air above (clockwise from top right) Chad, Central African Republic, Cameroon, Nigeria, and Niger. In the center of the image Lake Chad and its associated wetlands are barely visible through the dust. At bottom, fires (red dots) were detected across the region. This image is from the Aqua satellite on March 3, 2003.